The Bristol Americana / country-soul songwriter voted the AMA UK Artist of the Year 2017 has now announced a run of tour dates in Scotland. Heavily influenced from an early age by Sixties country, Stax-era soul and gospel ranging from The Staple Singers to Otis Redding, Yola was raised in a small seaside town in the South West of the England and “always wanted to be a country music artist”. Unafraid to address difficult issues in her lyrics, Yola’s real-life story – both heartbreaking and inspirational – naturally finds its way into her songs. Coming from a poor, broken home and a parent suffering from mental illness who ‘banned’ her from making any music, Yola’s experience of growing up was one of truly living below the breadline. In a working class community in denial of its status where discrimination and even violence fuelled by racism were not unusual, writing music quickly became an outlet and a means of expression, and touring a means of escape. From her late teens, Yola Carter (born Yolanda Quartey) worked hard to earn credibility and respect throughout the industry as one of the UK’s top singers and a uniquely gifted songwriter. Realising that her soul voice was soon getting attention, Yola graduated to touring internationally straight out of school with critically acclaimed acts such as Bugz in the Attic on their world tour, and later Massive Attack, most notably headlining Glastonbury Festival’s Other Stage to 60,000 people and broadcasting live on the BBC. 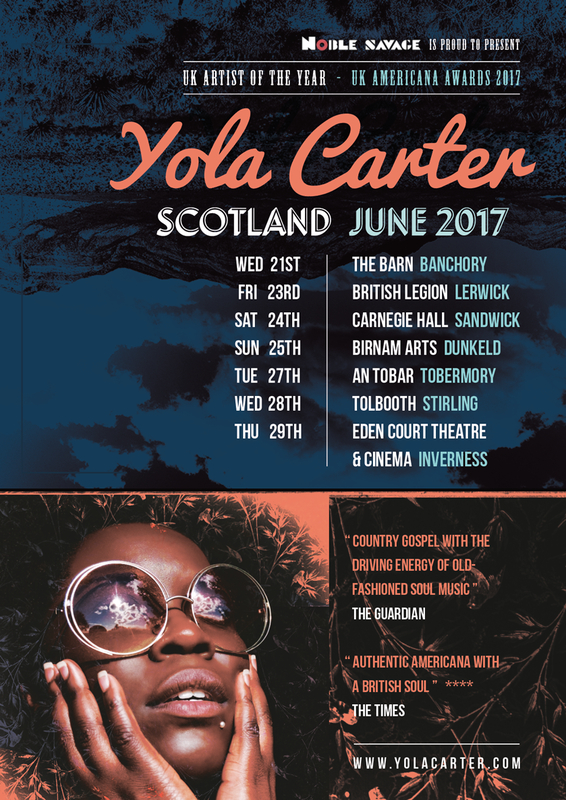 Following a year sharing stages with artists like St Paul and The Broken Bones, Sam Outlaw and Imelda Mae, and extensive media coverage around her debut release, Yola Carter is now working on her full-length debut and will be performing at a number of festivals and tour dates throughout the summer.